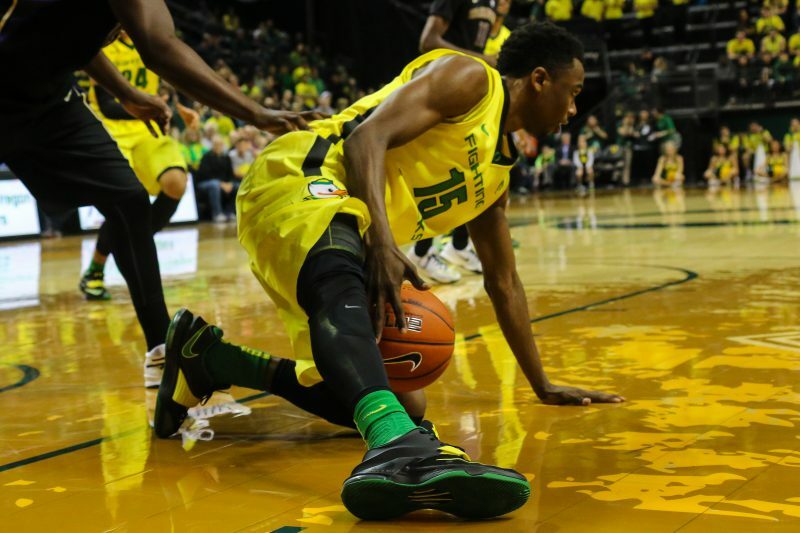 Mighty Joe Young and the Oregon Ducks squeezed past Oklahoma State with a 79 – 73 victory. Next up is a team that the Ducks should be very familiar with, Frank Kaminsky and the Wisconsin Badgers. For those Duck fans who have blocked the 2014 tournament from their memory, here’s a painful reminder. 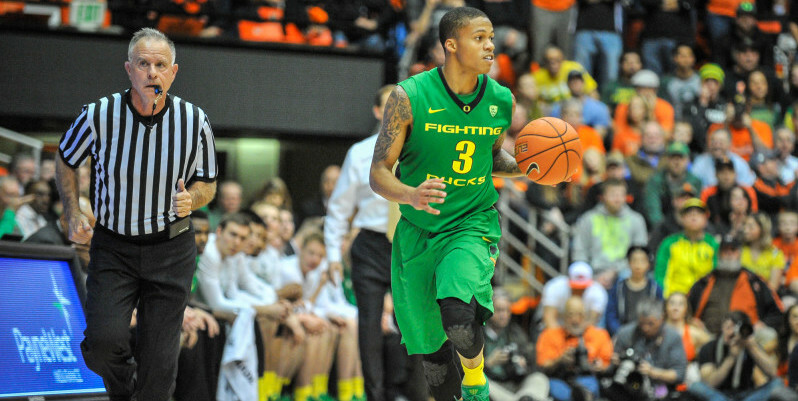 The Ducks played against Wisconsin in last year’s tournament for a spot in the Sweet Sixteen. Oregon led the Badgers 49-37 at half, but collapsed in the second half, scoring a minuscule 28 points in the second half. The Badgers came back to beat Oregon 85-77, and eventually made it to the final four. The Ducks will have to scramble to keep up with the Badgers. So what was the cause of Oregon’s second-half meltdown? Similar to my previous article about our Pac-12 championship lost to Arizona, the main factor for Wisconsin’s comeback was winning the rebounding battle. Oregon managed 26 rebounds in that game, while Wisconsin hauled down 36. Fast forward to present day; the Ducks are going to have to compete for the battle for the boards. Keep in mind, I say compete, not win. The Ducks claiming a few less rebounds than Wisconsin is not going to seal their fate, but the larger the margin, the more Oregon will have to rely on a high-percentage shooting day. Something to keep in mind about the Badgers is that the team’s overall rebounding is mediocre, averaging a disappointing 33.7 rebounds per game (204th in the NCAA). Frank Kaminsky is just one of 5 Badger players on the court, and as long as he is contained the battle under the pain should be manageable. Kaminsky bullies his way in for a score in last year’s matchup. What to do on defense: Here’s where we have to take a look at the teams that have beaten Wisconsin during the regular season. The Badgers only lost three games, and for two of those games Kaminsky was out with an injury. The one team that has beaten a healthy Wisconsin team is the Duke Blue Devils. Here is the full game on YouTube. For starters, notice what the Blue Devils do on defense. They are playing a 1-3-1 zone. This protects the perimeter from any easy 3-pointers by the wings, while at the same time, keeping most of the defenders relatively close to the basket. The downside is that it in order for the Ducks to beat the Badgers, they’ll have to stop Kaminsky. This leaves room for easy back-cuts by Wisconsin’s post-men, which was a problem that Duke experienced when it played the Badgers. As long as the wings make sure to assist the posts, and Joe Young places pressure on the point guard, Oregon should have no problem creating turnovers. On offense, Oregon will most likely have to deal with Wisconsin’s tough man-to-man defense. In terms of size, Wisconsin has the upper hand, but Oregon has the speed (somewhat like the 2012 Rose Bowl). The Ducks won’t find much success taking drives to the basket, so Joe Young and Oregon’s back court will have to work the perimeter to create space for Jordan Bell and the postmen to create lanes to the basket. This won’t be an easy game for the Ducks by any means, and despite the looming presence of Arizona, the road to the Final Four won’ t present any team more talented than Wisconsin.